Some might cite it as proof positive that global warming is now. Others might simply say a Luzerne County resident got tired of feeding rats to a growing pet. Anyway, a 3-foot long alligator was shot and killed by a Pennsylvania Fish and Boat Commission officer after two fisherman found it in Harris Pond in Sweet Valley. As we know Luzerne County, our bet is that a resident got tired of feeding rats to a growing pet. Luzerne County correspondent Dorothy Hayer has let us know about Betty Roccograndi, an excellent columnist for the Wilkes Barre Times Leader. Here she very nicely slices and dices Pennsylvania’s dishonest Attorney General Kathleen Kane. The founders of Wilkes Barre, Pa, thought they were in Connecticut when they made their city. Employees of Luzerne County got their paychecks late this week when a county worker went on vacation and failed to approve an electronic transfer. It almost makes Philadelphia look like a smooth operation. 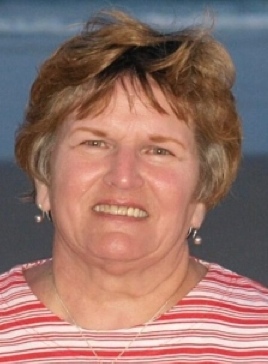 Barbara V. Mazurick, 70, a loving wife, devoted mother of four, mommom to four grandchildren, wonderful mother-in-law and faithful Christian, died Monday morning at St. Luke Pavilion in Hazleton, Pa., where she had been a guest. She was the mother, mother-in-law and grandmother of Todd, Nicole and Samantha Mazurick of Springfield, Pa.
She was born in Hazleton, daughter of the late Andrew and Veronica (Hollick) Grega. She was a member of Our Lady of Lourdes Church, Weatherly. Barbara is also survived by her husband, Michael Mazurick; Tina Whitlow and her husband, Todd, Berwyn; Carissa Mazurick, Bryn Mawr; and Leanne Mazurick and her partner, Karen Belli, Dallas; brothers and sisters, Gerald Grega, Hazle Township; Jane Seamon and her husband, Donald, Jeddo; Andrew “Buddy” Grega and his wife, Donna, Hazle Township; Maryanne Lynn and her husband, Ronald, Hazleton; Thomas Grega and his wife, Nancy, Hazleton; and John Grega and his wife, Chris, Freeland; four grandchildren that meant the world to her, Bridget and Conner Whitlow and Samantha and Nolan Mazurick; and several nieces and nephews. The Mass of Christian Burial will be held Saturday at 10 a.m. at Our Lady of Lourdes Church, Weatherly. Interment will be held in St. Mary’s Cemetery, Beaver Meadows. The family will receive friends and relatives Saturday at the church from 9 to 10 a.m. prior to the Funeral Mass. Barbara was always putting others before herself, so in lieu of flowers please consider donating in her memory to the American Cancer Society, 101 W. Frack St., Frackville, PA 17931, or the Beaver Meadows Food Bank, c/o St. Paul’s Lutheran Church, Second Street, Beaver Meadows, PA 18216. Author BillLawrencePosted on September 4, 2014 September 4, 2014 Categories Luzerne County, Obit, SpringfieldLeave a comment on Barbara Mazurick, R.I.P. Yesterday, we learned why you shouldn’t give a chimp an AK-47. Today, we learn — from Luzerne County, unsurprisingly — why it’s a bad idea to get drunk and take your dad’s monkey for a ride on a stolen ATV. Police said that yesterday, March 19, Jeff W. Arnott Jr., 23, stole an all-terrain vehicle and went on a intoxicated joyride yelling and screaming incoherently. At about 4 a.m., law caught up to him and saw that he had a passenger that was a primate, namely a java macaque that can grow to almost two-feet in height and weigh up to 20 pounds. When the ATV was finally stopped, Arnott and the monkey fled in different directions, police said. Arnott was quickly apprehended but the wily monkey managed to elude pursuers which led to a day of terror in Northeast Pa since police put out bulletins describing the critter as “dangerous”. Just imagine if Mr. Arnott had given the monkey an AK-47. Just imagine if the monkey had had this weapon during the police pursuit. After an hours-long monkey-hunt, the suspect was finally convinced to surrender by its owner James Arnott, Sr., who had had the animal for 15 years raising it from a baby. It is named Tyler Mikye. Family members said Tyler Mikye would swim in the family pool, play with the neighbor’s dog and drink alcohol. Arnott Sr. cried for hours after authorities hauled it away as it is illegal to have a monkey as a pet in this state. The younger Arnott is was jailed in Luzerne County Correctional Facility in lieu of $25,000 bail on charges of receiving stolen property, resisting arrest, harassment and flight to avoid apprehension. Luzerne County correspondent Dot Hayer reports that an arrest has been made in Hazleton regarding the sale of false identification to illegal residents. Orlando Guzman Garcia was nabbed the morning of Jan. 11 at a home at 185 S. Wyoming St. He is charged with conspiracy to commit identity fraud. He is accused of trafficking identity kits that included Social Security cards, birth certificates and other documents of Puerto Rican U.S. citizens to illegal immigrants. He charged between $700 and $2,500 per kit. Garcia allegedly got the documents from Caguas, Puerto Rico and paid for them with wire transfers. Garcia faces 15 years in prison and a $250,000 fine. Garcia was among of at least 50 arrested in the case. Unheralded Tropical Storm Lee has brought the worst flooding to Northeast Pennsylvania since Hurricane Agnes of 1972. There have been four reported deaths as of this morning, Sept. 9. Father James Hayer of St. Mary’s Byzantine Catholic Church in Wilkes Barre reported this at 6:09 a.m. The Susquehanna River has flooded, cresting at almost 39 feet a few hours ago. It was expected to crest at 40.7 feet, which was a deep concern because the levee system maximum height is 41 feet. We are only 2 blocks from the river, but everything here by the church (695 N. Main St.) is ok so far because we are on high ground. So far, 65,000 people have been evacuated from the Wyoming valley. The river crested this morning at 1AM and has begun to recede, but is still flowing very fast. If the levee holds within the next 12 hours, the water should slow down and recede even further – so we are thankful, but holding our breath. Unfortunately, many communities not protected by the dike system are now underwater. Our biggest concern near the church is becoming landlocked and/or losing power. Deacon Ed and I went to bless the river yesterday morning after liturgy and, within 10 minutes, the dry grass was covered. 40 minutes later, that road was closed. The water levels rose very quickly yesterday, exacerbating the problem for many people. Dot Hayer, our correspondent for Northeast Pennsylvania, reports that our Federales, as one suspects they will soon be calling themselves, forced the release of a Mexican man who had been living illegally in this country for six years while apparently fraudulently collecting benefits. Oswaldo Tlamis-Perez, 30, was stopped by Beaver Meadows Police Chief Michael Morresi for speeding and showed him a Mexican registration card as identification along with two public benefit Access cards bearing different names. He also had $3,000 in cash. The Access card is an electronic benefits transfer card now used in Pennsylvania in lieu of food stamps. Tlamis-Perez was taken to the State Police barracks in Hazleton and agents of the U.S. Immigrations and Customs Enforcement (ICE) were contacted. ICE determined Tlamis-Perez had been living in the U.S. illegally for six years then told Beaver Meadows to let him go as he was not “a priority case”. So Chief Morresi cited him for speeding and driving without a license and dropped him off at the Luzerne County line. Beaver Meadows is in Carbon County. State Rep. Tara Toohil (R-116) and Congressman Lou Barletta (R-11) are demanding answers from the Obama administration. And the people of Luzerne County are likely thinking a moat filled with alligators would look pretty good on the border.